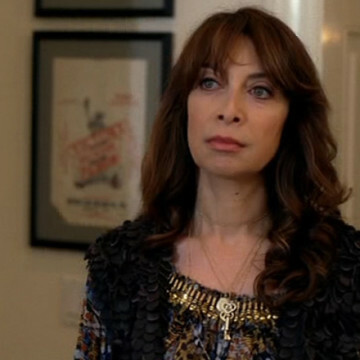 Illeana Douglas’ Marcie character makes her Entourage debut roughly eleven minutes into S07E10, titled Lose Yourself. Marcie is Mrs. Ari’s sister and pays a visit to the Gold household to console Ari’s grieving wife during the season seven finale. Douglas, who also guest stars in three episodes of Ugly Betty, reprises her role as Marcie during the second episode of Entourage’s eighth and final season.